With fast, friendly service and a range of transportation options, we’ll make sure that your freight arrives on-time and intact. Frontline Logistics differs from the rest, as we’re not a one-size-fits-all operation. Rather, we match each customer’s shipping needs to their ideal solution through our vast network of reliable carriers. Our rates are fair, our employees are experts, and we utilize a database of over 25,000 carriers. We’re your one-stop-shop and your shipping needs will be met. Our customer service representatives personally track each shipment and dispatch our drivers through every step of the pickup and delivery process, ensuring that your freight is delivered on-time and intact. Our e-mail alert service provides you with real-time status updates from pickup to error-free delivery. There's no need to log on to a website or make phone calls; we’ll send the updates directly to you! If you have a large load to deliver that won’t fit inside a container, we can match you with one of our flatbed trucking carriers. At Frontline Logistics, we offer you the best combination of flatbed rates and service for your daily shipping needs. We are a leading provider of flatbed equipment for general commodity or over-dimensional permitted cargo. Through Frontline Logistics, you get access to a large flatbed network of over 4,500 flatbed carriers, allowing you a single source to a variety of special equipment needs. We can provide standard flatbeds, single drop decks, double drop decks (lowboy) and tarping services. Frontline Logistics is one of the leading intermodal marketing companies (IMCs) in North America, providing our clients with access to a variety of railroad assets. 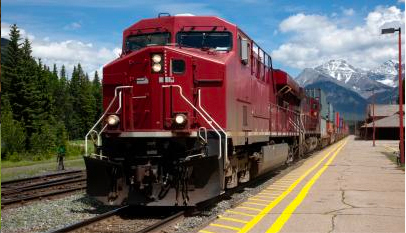 Frontline provides access to a U.S. and Canadian rail fleet of over 175,000 rail trailers and containers. We have agreements with mostly all of the U.S. Class I railroads, as well as the Canadian National Railway System. We are one of the few IMCs offering domestic and international intermodal service. As an industry leader, we give you greater access to a large rail network, allowing you a competitive cost advantage over traditional over-the-road service. Frontline Logistics built its foundation and reputation by providing unsurpassed service in managing full truckload shipments. As a leading non-asset-based provider of truckload transportation and logistics service, Frontline Logistics provides you access to our contracted network of over 25,000 carriers. Unlike the "cookie-cutter" approach that many brokers take in carrier selection, we build personalized business relationships with our carriers to ensure that we meet or exceed our customers' expectations. State-of-the-art internet technology and constant communication with our carriers enable Frontline Logistics to quickly identify available equipment and locations, ensuring that your shipment will be handled in the most efficient and cost-effective manner. 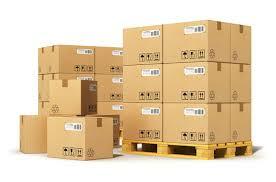 When it comes to less-than-truckload (LTL) service in North America, we are a leading provider. We offer personalized service through our network of leading U.S. and Canadian LTL carriers. Frontline Logistics provides complete freight management services specifically tailored to your needs, including LTL carrier bids, inbound logistics, vendor routing letters, as well as auditing and payment of your freight bills. Frontline Logistics is a reliable resource when it comes to hauling your hazardous material shipments. 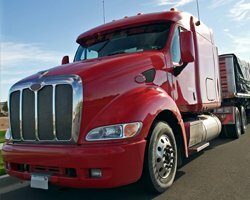 We encompass a few different types of applications, including dry van, temperature control, flatbed and LTL. We believe in the safety of your staff and our drivers, as well as those with which we are sharing the road. On March 25, 2003, the Research & Special Programs Administration, U.S. Department of Transportation issued the final rule Docket HM-232. 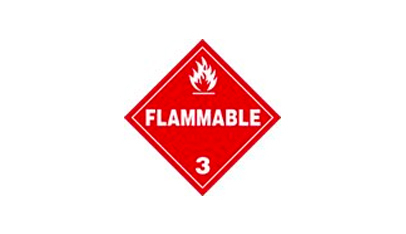 The purpose of HM-232 is the development and implementation of a hazardous material security plan for carriers handling your hazmat shipments. In addition to maintaining on file our carrier partners’ authority and insurances, we will also require a copy of their "Hazmat Security Plan", HM-232. Frontline Logistics is well-versed in hauling temperature-controlled shipments. We protect your temperature-sensitive shipments from the heat of summer and the cold of winter, giving you peace of mind all year round. 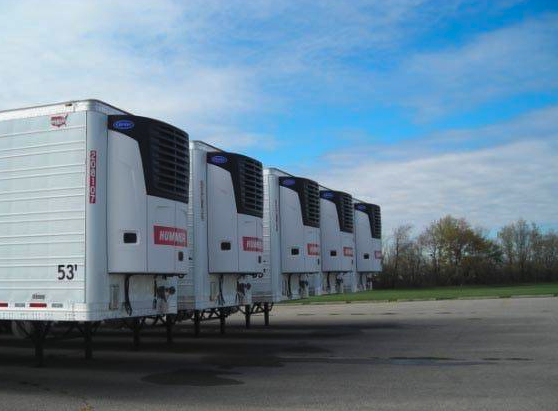 We provide our clients with access to a large fleet of pre-qualified carriers, offering you refrigerated and heat-equipped trailers. Frontline Logistics ensures that your temperature-sensitive shipments will arrive without delay and within the temperature range requested. Contact us today to book a load or learn more about everything that Frontline Logistics has to offer your company’s shipping needs.